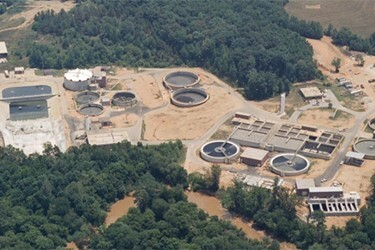 In 2007, Greenville, SC-based Western Carolina Regional Sewer Authority (WCRSA) conducted a rigorous performance test on a new tertiary treatment technology to assess its ability to effectively remove nitrate-nitrogen (NO3-N) without using excess amounts of methanol at its Lower Reedy Wastewater Treatment Plant (WWTP). Precise feeding of methanol for tertiary denitrification poses quite a challenge for most tertiary systems — particularly during flow variations. Dosage rates that are too small can lead to excess NO2-N concentrations. If methanol is overfed, it may result in elevated effluent biochemical oxygen demand (BOD) concentrations. For every extra part per million (ppm) of methanol overfeed, the BOD may increase by 1.5 ppm.